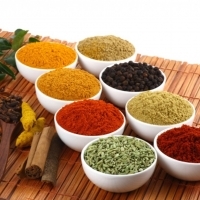 Browse other-type-of-spices suppliers by country and region. Tumeric Finger is the product that our company - Viet D.E.L.T.A Industrial Company - supply. With high technology and supervising carefully in each step, our product is ensured the high quality. 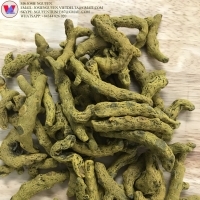 The turmeric is harvested and produced in Viet Nam to control the quality as well as the stable quantity at the competitive price. Hope to receive your interesting and welcome your cooperation. Fried Meat Spice Powder : Fried meat spice powder is a complete product used to marinate fried foods, making the food becomes delicious and attractive. 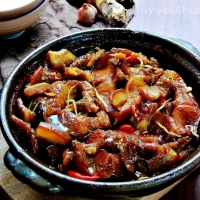 The product is mixed with natural spices such as chili, pepper, onion, garlic, cinnamon, ginger, nutmeg, cloves ... Just steps simmered simply you have Fried meat is processed quickly, convenient but still ensure the taste and nutrition of the dish. Fried meat spice powder will help the women save time cooking while still making delicious food for the whole family. Fried meat spice powder is produced on modern production line, ensuring the quality of health of the user. The product is plastic can be compact, convenient to use and store in the family. Ingredients: Pepper, pepper, onion, garlic, cinnamon, ginger, nutmeg, cloves . Use: For marinating, making meat dishes Storage: Store in cool, dry place, away from direct sunlight. Vietnamese Stewed Fish Spice Powder : The perfect spice powder with galangal is produced on modern technology lines, under the supervision of leading experts in Vietnam. The product is a spice powder, used to reduce the food add attractive parts before maing Especially, the perfect spice of galangal is made in accordance with the recipe of traditional fish dishes, the sauce is thick, aromatic color eye-catching, helps stimulate the taste. The product uses purely natural ingredients and is extremely fresh and clean, ensuring no harmful impurities affect the health of consumers. The perfect fish spice powder is the perfect choice for a more intimate family meal. Ingredients: Sugar, salt, moderates, galangal, fish sauce, black pepper, cassava starch, palm oil, anti-dew, synthetic fish sauce Use: 30g spice perfect - fish galangal for 300g fish for 15 - 20 minutes for spice. Place a layer of galangal, a layer of meat, a layer of fish and a top layer of galangal in the pot and water across the fish. Boil the fire and boil for about 45 minutes until the fish is cooked Storage: Store in cool, dry place, away from direct sunlight. 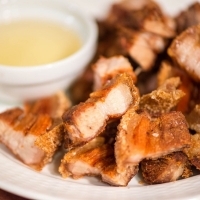 Vietnamese Caramelize Pork And Egg Spice Powder : Vietnam Caramelized pork and eggs spice powder is a harmonious combination of all the necessary spices for the dish. 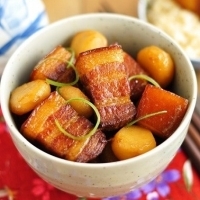 Just marinate the meat with the powder for about 15 minutes, so fast and easy, you will have the delicious Vietnam Caramelized pork and eggs dish, full of standards. You will not have to spend too much time looking for so many spices. Products are made from selected materials such as sugar, granules, salt, fish sauce, anti-clay, synthetic flavor, seasoning powder, pepper, soy sauce, cooking oil, garlic. Help bring delicious taste to the meat of the family. 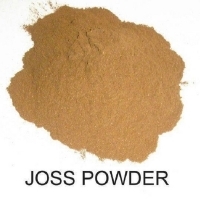 The powder is packed in a small package, convenient for one use. Directions: Marinate the powder with 300g of meat for 15 minutes. Place the meat in a saucepan, add a bowl of water (250ml) to the meat custards, boil with large fire until boiling. Add boiled eggs to the same store, reduce the fire store for 30 minutes until the meat is cooked. Storage: Store in cool, dry place, away from direct sunlight. Vietnamese Crab Rice Noodle Spice Powder : Vietnamese crab rice noodle soup spice powder is a convenient product, which is full of spices, bring delicious flavor to noodle bowl, which is trusted by families as well as restaurants and cafÃ?Â©s. Remarkable flavor, hard to forget. This product makes it easy to cook delicious noodle dish without losing much time. 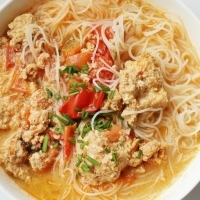 With this spice, make the crab noodle soup will be natural sweet, delicious attractive to the last piece. The product does not contain preservatives, made from natural materials, ensuring the health and safety of consumers. Use to make noodle soup : Enhance the taste of noodles Food safety and hygiene Vegetarian can use Ingredients and uses : Salt, sugar, garlic, chili, tomato, tamarind, crab, Brings you delicious taste when you enjoy delicious food. Non-toxic chemical products, safe color for the user. User manual: Put 100g of Crab rice noodle soup into 3 liters of boiling water for 3 minutes, tasting for just eating. Storage: Store in cool, dry place, away from direct sunlight. Short on time? 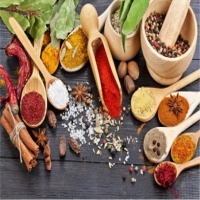 Let other-type-of-spices sellers contact you. 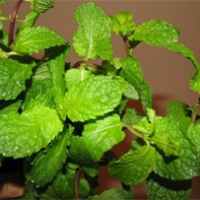 - Style: Fresh - Long: 4-6cm - Wide: 1.5-2.5 cm - Color: Green -Origin: Viet Nam Scientific name: Mentha arvensis. Under their lips flowers: Lamiaceae. Draft 30-70cm tall trees, often branching. Phienn ovate leaves, oval, sharp-pointed, rounded or obtuse angle, cut jagged edges, the smooth surface. 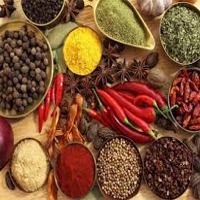 We offer whole and long red chilli, powdered, chilli flakes, bulbs etc. All the chillies are of high quality, hand picked and packed to customer specification in a hygienic environment. The chilli pepper is also known as chile pepper, chilli pepper, or simply chilli. They are widely used in many cuisines to add spiciness to dishes. Capsaicin and related compounds known as capsaicinoids give chillies their spiciness. India is one of the top 10 producers of this product. Red chillies are used in popular cuisines and dishes like curry dishes, several sauces used in pasta etc. Red chillies are used all over the world in various dishes. 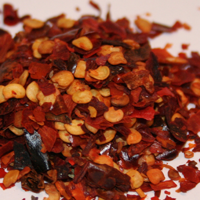 We offer whole and long red chilli, powdered, chilli flakes, bulbs etc. All the chillies are of high quality, hand picked and packed to customer specification in a hygienic environment. 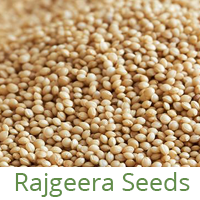 Amaranthus or rajgira is a highly nutritious food available in seed and flour form. India is a leading producer of this amaranthus. It is highly nutritious, easily harvested and easy to cook. Seeds Amaranth seeds are rich in protein and other dietary minerals. It is used in making Sweet syrup, Beer, Bread, Pasta and Drinks. It can be sprouted, roasted and popped like popcorn. 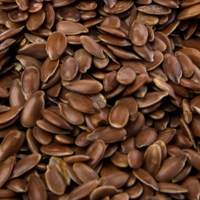 Also known as Linseed, they are small in size but rich in nutrition. 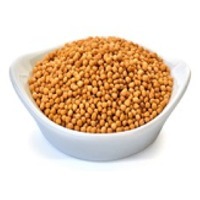 They are a great source of dietary fibers, minerals like manganese, thiamine & magnesium. They come in brown tan or golden colours. They have several uses like as an ingredient in baked goods, the oil-free meal can be used to feed livestock and the oil can be used for various industrial purposes. The chilli pepper is also known as chile pepper, chilli pepper, or simply chilli. They are widely used in many cuisines to add spiciness to dishes. Capsaicin and related compounds are known as capsaicinoids give chillies their spiciness. 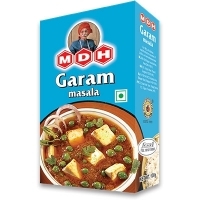 India is one of the top 10 producers of this product. Red chillies are used in popular cuisines and dishes like curry dishes, several sauces used in pasta etc. 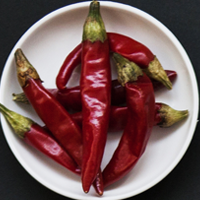 Red chillies are used all over the world in various dishes. 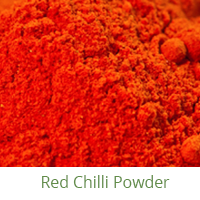 We offer whole and long red chilli, powdered, chilli flakes, bulbs etc. All the chillies are of high quality, hand picked and packed to customer specification in a hygienic environment. 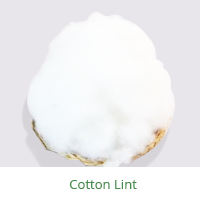 Cotton is a soft, fluffy staple fiber that grows in a boll, or protective case, around the seeds of the cotton plants of the genus Gossypium in the mallow family Malvaceae. The fiber is most often spun into yarn or thread and used to make a soft, breathable textile. It is one of the oldest used cloth fabrics dating as back as fifth millennium BC. Made from separating fiber from cotton seeds, we supply high quality lint in bales. Our product is made from natural and pure cotton seeds. It has a variety of uses and is demanded because of its softness, skin friendliness and being lightweight. Cotton is a soft, fluffy staple fiber that grows in a boll, or protective case, around the seeds of the cotton plants of the genus Gossypium in the mallow family Malvaceae. The fiber is most often spun into yarn or thread and used to make a soft, breathable textile. It is one of the oldest used cloth fabrics dating as back as fifth millennium BC. We supply cotton bales made from advanced techniques and technology for ginning and processing. 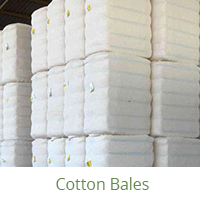 We supply pure cotton bales to clients all over the world. Health benefits of cilantro (coriander) Like many fruits and vegetables, cilantro is a good source of antioxidants. Using cilantro to flavor food can also help to cut down on sodium intake.One-fourth of a cup of cilantro contains 5 percent of the daily value of vitamin A.